This showcase compares eight of the most popular BI tools against 11 criteria that strongly influence usability, maintainability, setup and security. This follows the Entelect initiative of setting up a showcase with each tool and creating demo dashboards using a sample data set. Below is a list of the evaluated technologies. These have been split into two sections as the functionality requirements for internal and external use will vary. Below is the latest Gartner ranking of technologies in the data and analytics category. Security is a non-negotiable in the evaluation matrix as most of our client data is extremely user sensitive. This will be evaluated on a Yes or No basis. Integration into Browser Integration into Browser is a non-negotiable, since dashboard functionality needs to be provided to the end users. Integration into the single sign-on process and the web application is critical. This will be evaluated on a Yes or No basis. 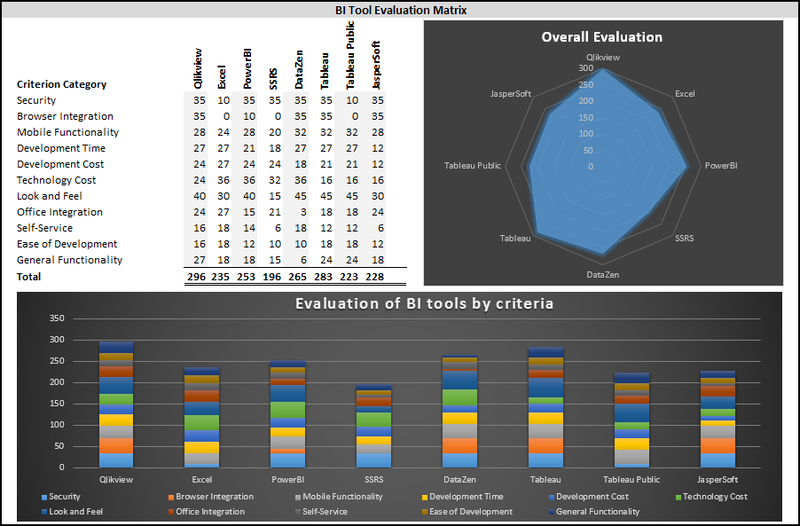 A quick look at the overall evaluation (spider chart above) you will notice that the top technologies are Qlikview, Microsoft (Excel, PowerBI, and Datazen) and Tableau. 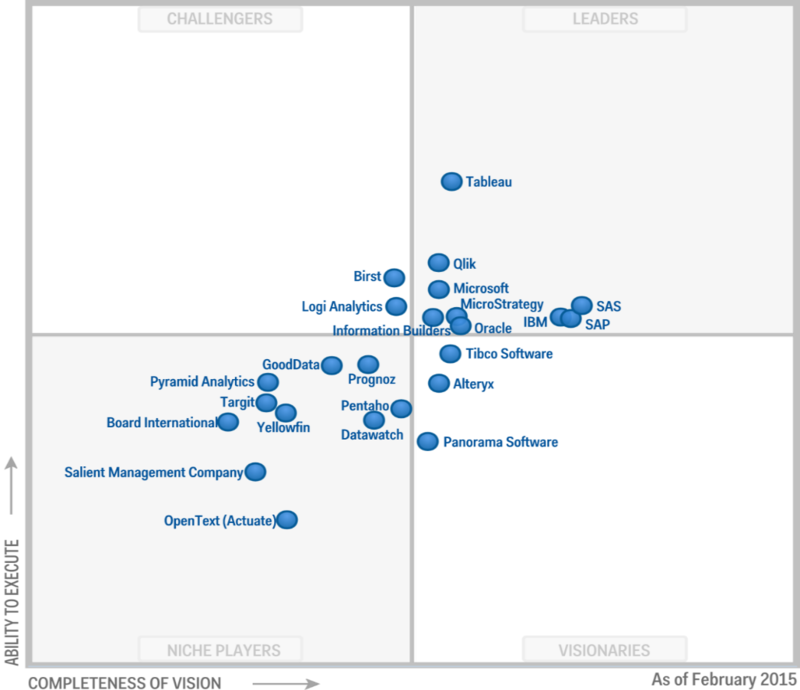 These evaluations fall in line with that of Gartner (2015 Feb) which shows Qlikview, Microsoft and Tableau at the top. From our evaluation Qlikview scored the highest overall, followed closely by Tableau. The main differentiator between the two is technology cost. Tableau ranks better on the front end look and feel and the guided development is a great assistance, but it doesn’t have same breadth of ETL functionality which assists with the ease of development and export to excel functionality. Microsoft is closing the gap with the next 3 tools. Recent acquisitions Datazen and PowerBI are strong entrants into an established market and hold their own well for first generation tools. Datazen’s shines in its simplicity of use and low development/technology cost. Visually this is the most striking tool evaluated and it has the best look and feel of all the tools. What brought it down was the existence of bugs, a less than intuitive interface for development and a lack of development options. Data has to presentation ready and pre-aggregated to shine in Datazen. PowerBI, although relatively new, comprises of all the BI features Microsoft previously provided as add-ons for Excel but now as a tool of its own. PowerBI’s strength lies in that it is relatively new and Microsoft is developing continuously with feedback from users on features they would like to see. Although the current version only supports limited integration with Excel and does not support integration with Browser, Microsoft have noted that and they are working on making PowerBI embeddable. It is easy to use with an intuitive interface which suggest charts to create on a dashboard depending on the data dragged on dropped onto blank canvas. Canvas follows the same design as pivot charts/tables in Excel making it quick to learn for users with experience in Excel. As the tool of choice for casual BI users Microsoft Excel holds its own, this scored well due to its ease of use and availability as part of the Microsoft Office package. Office integration is obviously very high and users already using Excel results in the Development time and cost being reduced. In closing it is important to note that some of the tools rely on data being in the correct format from inception. This is where Qlikview and Tableau major strengths come in, as a complete solution with a strong ETL they can transform the data into the correct structure and also create powerful visualizations. Most of the other tools would need an ETL tool for most use cases. 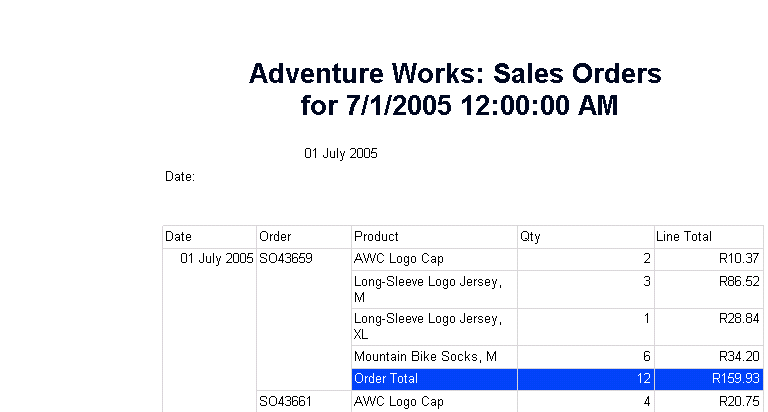 Datasets used for the BI tool Reporting is from the Microsoft 2012 Adventure Works dataset or sample datasets provided with the specific BI tool. PowerBI provides and interactive interface for users to view existing reports as well as create custom view of the data. Below a funnel chart shows the total revenue and the associated cost and taxes. Next to this is a YoY analysis of revenue. A pie chart showing the distribution of sales to region. The last chart shows the quantity of each product sold. Access to PowerBI models are managed through the Office365 administration centre. 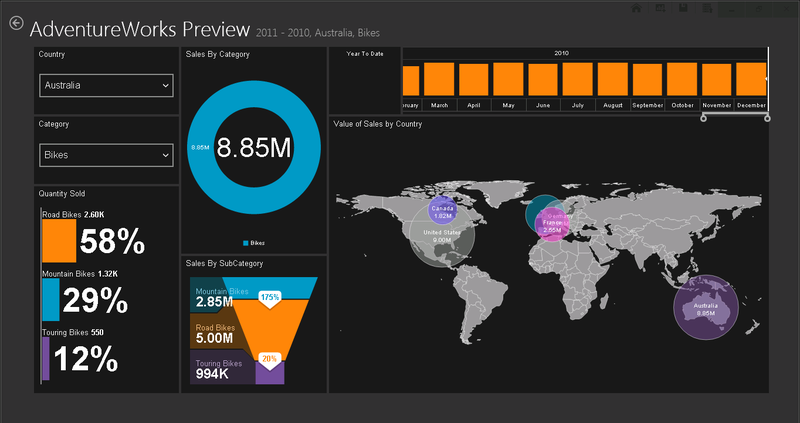 PowerBI houses its models and data in the cloud. Users wishing to access your models will need to be setup under Office365 administration console. This will allow a user to view all data in a model for which they have access to. Row level security of data can be obtained if data is provide through Microsoft SQL Server Analysis Services (SSAS). PowerBI request data through SSAS which is able to validate data request at lower levels. When using SSAS, data is store locally as opposed to in the cloud. Currently this not available but Microsoft is looking into it for a future release through the use of iFrame. Development resources cost are within market averages. Easy to development dashboards. User can freely create dashboards they require provided the data they need is available. IT department t would only be need when the user requires data which is currently not available in the model. Simple training is required, any user experienced with charting in Microsoft Excel should be able to produce dashboards easily. Training and development resources are freely available online through the different PowerBI communities. Licensing available in two options, a PowerBI (Free) and a PowerBI PRO (Paid) Version. Both require the user to be setup with a valid organisational email address that is managed by the Office365 administration centre. 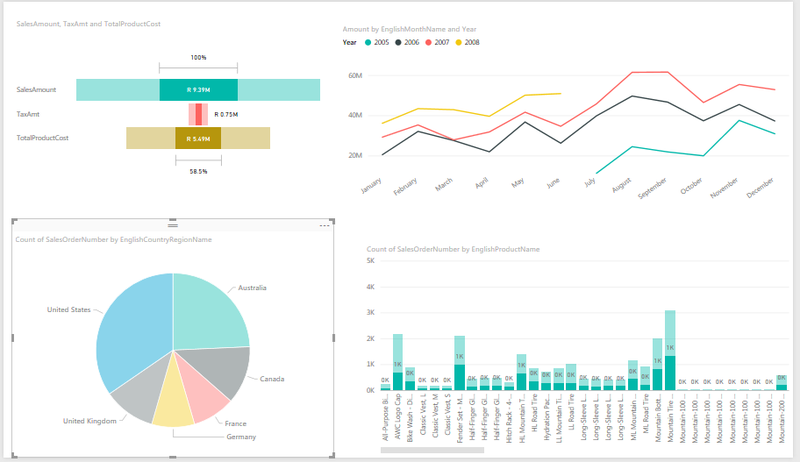 The free version focuses on giving the user access to PowerBI to consume and create dashboards with limited data connectivity interfaces. The Paid edition provides enhanced collaboration features and data usage and access, allowing apps in the cloud to connect to local data through SSAS. Simple to navigate and extremely intuitive. Charts have soft look and smooth interactive feeling that’s easy on the eyes. Each element allows for a wide range of customizable options. Export to Excel functionality is supported (underlying data from charts and tables as csv). Allows users to view Excel files in PowerBI. Allows files saved on SharePoint to be used in PowerBI. Export to PDF functionality not supported at this time (including graphs and raw data). No functionality for automated email and dissemination of reports. Reports have to be accessed through PowerBI. Customization of existing dashboards is possible with PowerBI PRO which allows creation of organisational content packs. End users create dashboards using the PowerBI desktop tool or PowerBI cloud app. “Blank canvas” functionality is available. Publish reports to the PowerBI cloud at the click of a button. Reports that users have created and have access to will be visible in their PowerBI cloud apps. Simple to navigate and extremely intuitive to develop reports. Familiar user interface which minimises times to grasp technology. Well packaged suit for first version and future development looks promising. Has an average response time when dealing with larger datasets, it is much more responsive compared to Excel. Customisation of calculated and derived fields. This Report shows an overview of sales quantity to sales revenue Month on Month. Also shown is the distribution of categories that make up total sales. 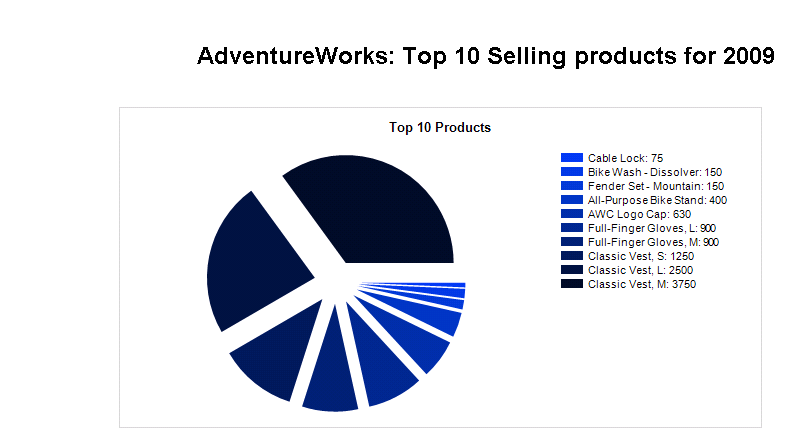 A detailed listing of the quantity per products sold is shown in the Horizontal Bar Graph. Sales are split by Region in the Vertical Bar Graph. Security is dependent on how the report will be distributed as well as the source data is stored. Security features of Excel itself is limited. A user can share the report with unauthorized users. Development resources are easily available the market. Users can freely create dashboards they require provided the data they need is available. IT would only need to come in when Users need data that is currently not available in the model. Simple training is required for charting in Excel users already using these features will be able to produce reports easily. Requires a separate deployment mechanism e.g. emailed out. Volume licensing options are available for large enterprises and pricing is client dependant agreements with reseller. Not very intuitive in terms of dash boarding. Dashboard creation is an extension of Excels spreadsheet functionality. Visually the appearance of dashboards are average. Excel is not capable of automation of scheduled reports via email and will have to be refreshed by the user and a separate tool for distribution. Any user with Excel on their PC will be able to create their own dashboards provided they have the data available. Very simple to use and build on existing Excel charting features. Manual deployment to SharePoint site for updates and distribution. There is no “My Reports” functionality. The intuitiveness and usability of the development interface. Minimal frustration and time required to learn to use Excel. Comes pre-packaged with charts and tables for creating dashboards. Components are customizable from font to colours and visualisations to suit client’s preferences. Slow performance when Excel document holds the data model and in comparison to other BI Tools. Clickstream data is not available. Used to implement overall static reports which are designed to be displayed as pages. Good for designing reports which need to be printed, major strength is in its ability to design paper based report layouts. This specification was created using the community edition software as Pentaho was not available at the time review to assist with full versions of software. Pentaho BA Server can work with a single sign-on (SSO) framework. At this time, only Central Authentication Service (CAS) and Integrated Windows Authentication (IWA) are supported. Configurable custom security method such as LDAP, Active Directory, or custom security tables in an existing RDBMS. Possible to integrate through the use of iFrame. Development resources are relatively scarce in the market. Not the easiest to learn, does require more time to become proficient. Super users will need to skill up with a lot of training to learn to produce and deploy dashboards. 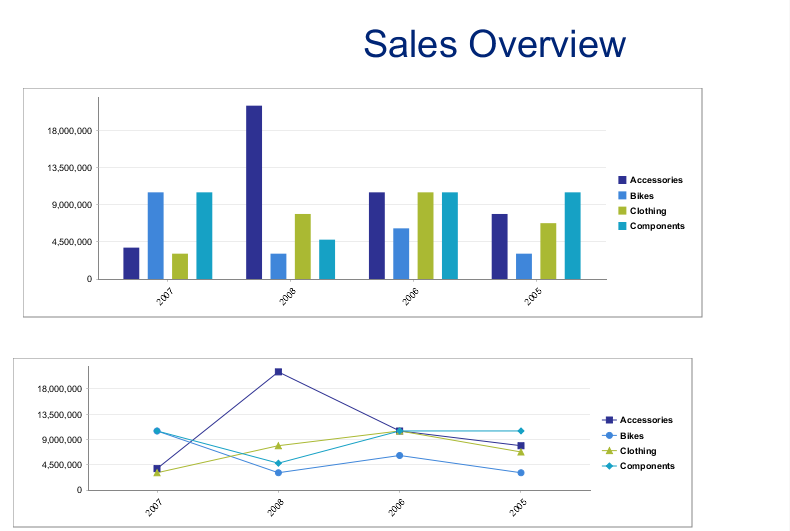 General look and feel of charting components – Report Design provides the look and feel of paper based reports. Report scheduling and updates are done via an online console and saved on server file share. The server can be configured to email out reports. FTP tool be used if reports need to be placed in a separate file share from which is on the reporting server. Users need to have the appropriate authorization to be able to change and create models. Pentaho does support “Blank canvas” functionality. Dashboard creation with Pentaho Report Designer does require a good understanding of the platform and not as quick to skill up. Deployment and publication at the click of a button. “My Reports” functionality through Pentaho online console. Not very intuitive to support quick dashboard development and use. Can be frustrating and tedious when designing due to the complicated interface navigation and design. The out of box functionality is not very flexible and users will spend a lot of time learning the interfaces before actually start learning to create dashboards. Response time when dealing with larger data sets – Provided Data Model is created correctly its response time is average in comparison to other tools. Clickstream data availability possible using 20 pre-built reports for analysing report usage, user access, and report processing time. 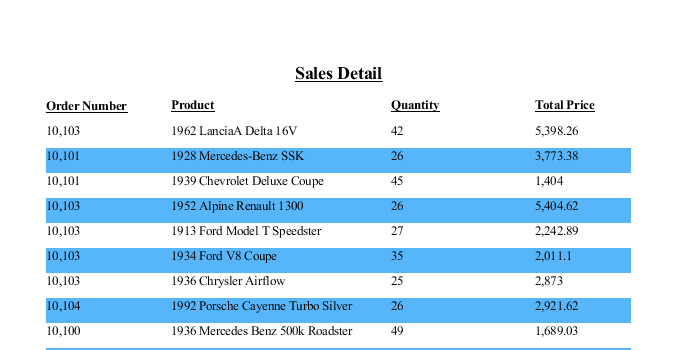 An order detail view as shown as well as a dashboard to summarise sales stats. The Model provides analysis for Quantity of Products Sold to the Price. We show the distribution of the category of products sold. Below this we show the quantity of products sold as well as the Sales distribution by region. Configurable directory service allows you to integrate Qlikview with other directories and user databases in your enterprise. Mandatory authentication at login to Qlikview (for this Microsoft Active Directory may be used, for example); To enter each individual Qlikview application, separate login and password can be installed if needed ;Access rights differentiation is created for each user (or for each user roles);. Access is Control by the Qlikview Server. Development resources cost are above market averages. User can freely create dashboards they require provided the data they need is available. IT would only need to come in when user needs data which is currently not available in the model. Users will need to do some training, however there is large online community for Qlikview with a lot of freely and available resources. Interfaces are intuitive and simple to follow. Qlikview supports a lot of customization option to change the look and feel to suit the organisation. Export to Excel functionality (including graphs and raw data). Export to PDF functionality (including graphs and raw data). Automation of scheduled reports via email and generating reports to a file share – with Qlikview publisher or 3rd party tools. Customization of existing dashboards is possible with which allows user to create custom visualizations of published reports which are saved as their personal view. Users are not able to download and edit published dashboards. Only those that have access the actual files can. Simply drag and drop interface which are easy to customize with logical interfaces. Formulas follow similar logic used in Microsoft Excel. 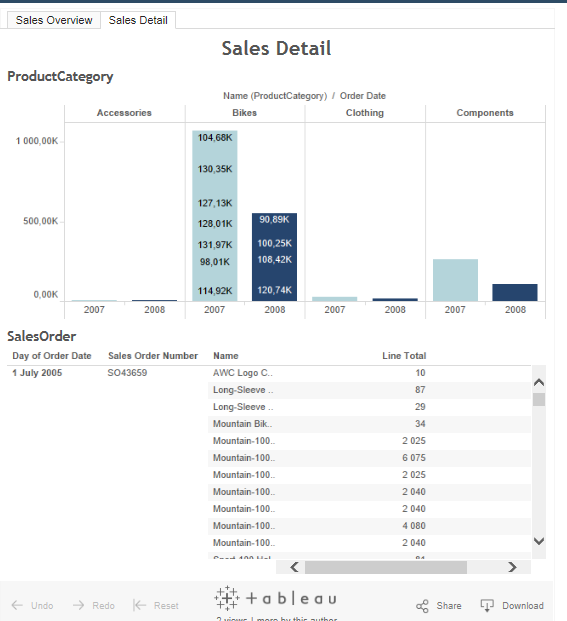 Design dashboards using chart wizard and publish reports at the click of a button. Reports that you have created and have access to will be visible in your in your workspace. Designing is supported by intuitive interfaces which offer wizards to guide the user. Good community support and online resources removes the frustration when needing information for simple design tasks. Packaged with a lot of features out of box and supports highly interactive report designs. Soft looking and smooth interactive feeling that’s easy on the eyes. Fully customizable charts to suit clients preferences. Response time when dealing with larger data sets is excellent, but is limited by the load on the server housing the model. Customisation of calculated and derived fields, supported by scripting and dynamic creation. Clickstream data availability is not supported. Authentication Security – Performs Microsoft Active Directory, Local authentication managed by Tableau Server, or Trusted authentication that creates a trusted relationship between Tableau Server and one or more web servers. Authorization Security – a role is a set of permissions that is applied to content to manage how users and groups can interact with objects such as projects and published content. Data Security – Enabled through three different ways: implement the security solely in the database, implement security solely in Tableau, or create a hybrid method where user information in Tableau Server has corresponding data elements in the database. Network Security - There are three main network interfaces in Tableau Server: o Client to Tableau Server: The client can be a web browser, Tableau Desktop, or the tab cmd utility. o Tableau Server to your database(s): To refresh data extracts or handle live database connections, Tableau Server needs to communicate with your database(s). o Server component communication: This applies to distributed deployments only. Development resources are not easily available the market. User can freely create dashboards they require provided the data they need is available. IT would only be required when User needs data which is currently not available in the model. Users will need to do some training, however interfaces are simple and intuitive and does provide some guidance. Easy to use and intuitive interface for all level of users. Export data Excel as csv. Automation of scheduled reports via email and generating reports with Tableau Server. Simply drag and drop interface which are easy to customize with logical interfaces. Allows for dashboards to be created on the fly. Reports that you have created and have access to will be visible in your in your workspace and those that have been granted access to the report. Simple Drag and drop interface that makes it very intuitive to use. Not much frustration provided the user learns and understands the interface. Easy to learn and use. Creates appealing dashboards and provides a lot of features. Response time when dealing with larger data sets is average, models are on the cloud so load times are affected by internet connections. 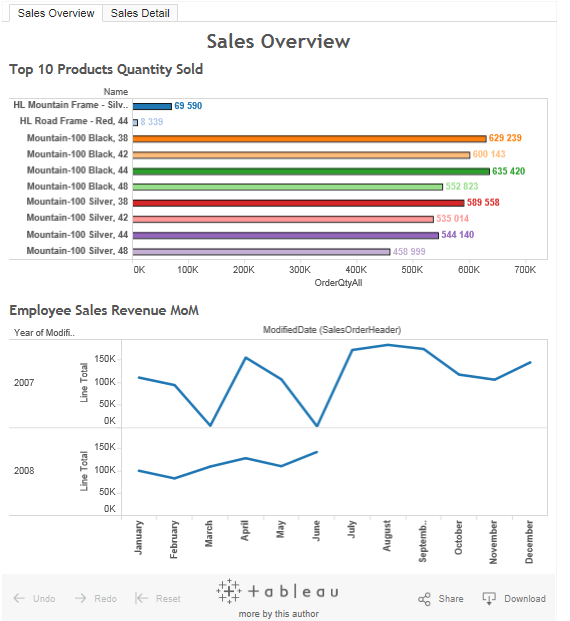 For Tableau Public we have create to simple dashboards. The Sales Overview Provides a snapshot of the Top 10 Products Sold and Revenue Generated by employee’s MoM over 2007/2008. The Sales Detail shows the Revenue by products for the years 2007/2008. Not secure, all models and data are available to the public for access. Free to use with 10GB space for the entire organisation. Simple and intuitive interface for all level of users. Automation of scheduled reports via email and generating reports to a file share is not supported. Customization of existing dashboards is possible allows user to create custom visualizations of published reports which are saved as their personal view. Users are not able to download and edit published dashboards. Dashboards are publicly available. Creates appealing dashboards and provides a lot of features, the main downside is that Tableau public being hosted and accessible by anyone on the internet. The below Datazen dashboard shows a few of the standard controls available for dashboard development including the funnel and total charts, as well as the built-in map functionality. It also demonstrates how filters can be selectively applied to specific elements of the dashboard. Selecting a specific country in the Country filter only filters the total, pie and funnel charts, but does not filter the map visualization which still shows sales by all countries (for comparison). Only selecting a Category will filter the map visualization as well as the other charts on the dashboard. Datazen can utilize existing Active Directory or ADFS infrastructure, and also a Default authentication mode which uses the Datazen Core Service. Hubs can be used to restrict/allow access of users to specific dashboards or groups of dashboards. Although Datazen users can be placed into multiple hubs, members cannot view or interact with dashboards or data residing in hubs where they are not members. Datazen can render all dashboards in HTML5. All HTML5 output produced by Datazen Server can be embedded into an iFrame element. Datazen requires data to be in a presentation-ready format. The tool does not allow any manipulation or formatting of data. Simple training is required, any user who is experienced with charting in Microsoft Excel should be able to produce dashboards easily. End user documentation and demo dashboards are available as guidelines on dashboard development. Datazen Server is available at no additional cost to anyone who has a SQL Server Enterprise Edition with Software Assurance license. Datazen Publisher and Datazen Viewer applications are free to download and use from the Microsoft Store. Currently there is no option to obtain a license for Datazen Server separately. Simple process to design dashboards from scratch. Drag-and-drop interface with grid layout that snaps controls into place. Extremely visually appealing out of all the tools sampled. Export to Excel functionality not supported at this time (including graphs and raw data). Email subscriptions are not supported at this time. The Datazen Dashboard Designer features a drag-and-drop interface that is simple and intuitive to use. Dashboards are designed in a grid layout where controls snap into place. There is also mobile layout functionality that can be used to specifically target dashboard behaviour and layout on mobile devices. Powerful date selection control with built-in advanced functionality with no configuration required. Design features are simple and intuitive albeit a little limited. Learning to configure the inputs for visualisation takes some understanding but fairly intuitive. As a simple dishoarding tool Datazen comes with substantial features. Easy to create visually attractive dashboards. Optimised for mobile devices with native apps on major mobile platforms. Ability to combine different data sources in a single dashboard. Ability to use custom maps. This report shows an overview of the top selling product distribution. 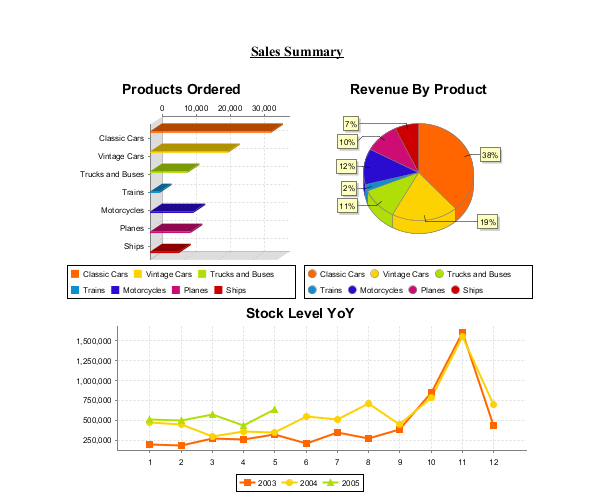 A combination bar and line graph is shown and also is able to provide details of specific orders. Finally the sales performance of a particular agent over a number of years is shown. Security is dependent on how the report will be distributed. SSRS can utilize existing Windows credentials, SQL server logins, and Service credentials. This is extended to specific roles and permissions to provide more control over data and reports. Relatively easy to build graphs and table reports. Easy connecting to the databases and data sources provided the user is able to spend a little bit of time to learn to use the tool. Users will need to know how to use Microsoft SSAS to make changes to data model. IT will need to assist if user does not have experience with managing underlying data model. A user will need to undergo sufficient training in Microsoft BI stack. Licensing model of technology defines it as part of the Microsoft SQL server licensing agreement. It is possible for user to use the Express Edition to develop dashboards provided an enterprise server is available for deployment. Main cost comes in for server and hardware. Requires and experienced developer to create visually appealing reports. SSRS is capable of automation of scheduled reports via email and refreshed by the scheduler. Self-service functionality is barely existent. Clickstream data is available and can be discovered using a sub report approach. Below Jasper Reports are shown in two ways to visualise Year on Year sales revenue comparison, a bar chart and a line chart. Below these two charts is a table that depicts sales detail. SQL injection The security framework restricts user input and values passed to reports to block any potential security threats. Administrators can monitor the server logs to search for evidence of attempted security breaches. Knowledge of Excel graphs an advantage when creating dashboards. Caters more to reporting purposes. Open source product so licensing is part of the AGPL for the Community edition. Community Edition is free of charge. Pricing for the AWS, Professional and Enterprise editions starts at $338.00 / per year/user. The interface is easy to understand and intuitive. If a user has prior experience with a reporting tool, they should grasp the interface relatively quickly. If however, the user has no prior experience, the interface could be daunting at first but they will quickly get to grips with it. Export to Excel supported (including graphs and raw data). Export to PDF functionality is supported (including graphs and raw data). Export to Microsoft Word functionality is supported (including graphs and raw data). Export to Microsoft PowerPoint functionality is supported (including graphs and raw data). Simply drag and drop interface which are easy to customize with logical interfaces. Requires good understanding of the detail band and realising that everything cannot be put in there. Properties can only be changed in one area and this is counter-intuitive because it does not provide a whole view of the properties that can be changed. A new user would need to have a good understanding on the correct way to format data to avoid any issues. The out of the box development functionality is quiet robust. Many different chart options that allow for quick dash boarding. One of the issues is that the out of the box functionality does not come with database connectors to MySQL and MSSQL, these have to be downloaded from their respective vendors. The evaluation of the different tools illustrate that each has its own strengths and weaknesses. It is also important to keep in mind that each tool is constantly being developed with new features. Besides the requirements provided we however do need to know more technically details on how the product can be integrated as well flexibility of adjusting the current integration frame in order to benefit from the capabilities of the better tool that may not work in the current system configuration. Most of the tools presented require that the source data model be properly defined, available, and accessible to ensure that the dashboard tool does not need to perform transformation on the data. The models for the different tools discussed in this document are available for perusal on request.